RedBubble: 8 AM to 8 PM: Get 20% Off&rlm; - Blog @ That Awesome Shirt! It's our 8th birthday! 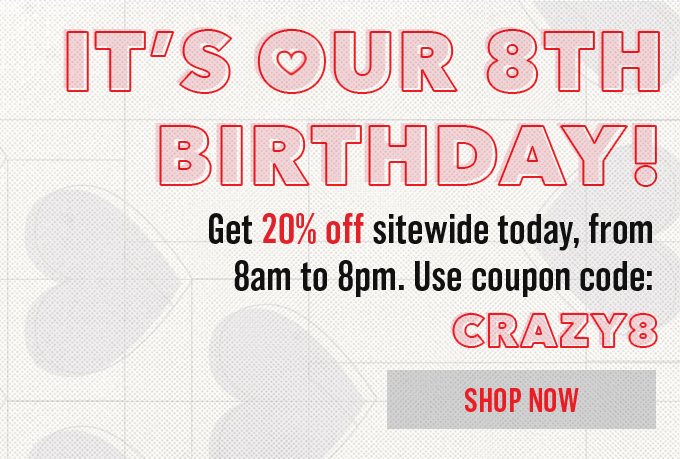 Get 20% off sitewide today, from 8am to 8pm. Valid 2nd of February, 2015.